At the bottom of the Garden: All together now... "It's beginning to look a lot like Christmas!" All together now... "It's beginning to look a lot like Christmas!" 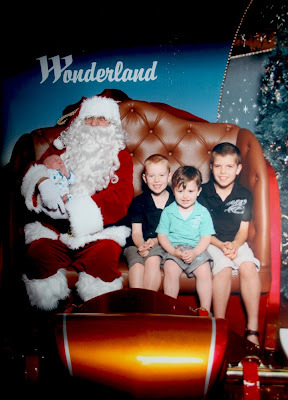 And the Santa pic - how tiny is Tiny??? 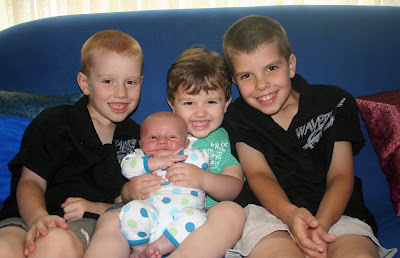 What gorgeous pics of your four boys!! How did you manage to get them all smiling at once? !